FOX Sports’ TV advertising inventory for the broadcast of Super Bowl XLVIII is officially sold out, one month earlier than last year’s game. Forbes reports the projected cost of a 30-second spot was $3.8 million, while CNN says some spots sold for up to $4.5 million, which would break last year’s record of $4 million for a 30-second ad. The broadcast, which will air on Sunday, February 2, will incorporate ads from 43 advertisers, including Anheuser-Busch, Butterfinger, Chevrolet, Doritos, GoDaddy.com, Hyundai, Intuit, Jaguar, Mars, Oikos, PepsiCo, GM, and Wonderful Pistachios. The TV commercials will range from traditional 30-second and 60-second spots to longer 90-second and two-minute formats. As Forbes notes, the strong demand for Super Bowl TV advertising reflects the fact that the event is one of the last remaining ways for advertisers to reach a mass audience. Last year, Super Bowl XLVII on CBS averaged 109.2 million viewers, ranking as the third most-watched television event in U.S. history. The most-watched program in U.S. television history was the 2012 Super Bowl. While the in-game TV ads spots are sold out, FOX says brands hoping to reach the Super Bowl audience still have options. 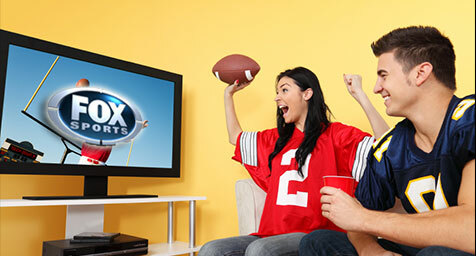 The pre-game broadcast on FOX Sports 1 has inventory available, as do the network’s digital platforms. Keep up what’s new and news in creative TV advertising. Contact MDG Advertising today at 561-338-7797 or visit mdgadvertising.com.